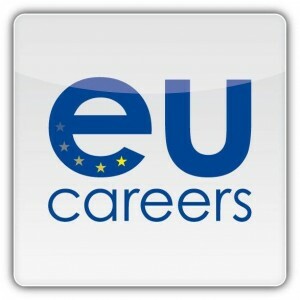 Home > Uncategorized > Want to work for the EU Institutions? Want to work for the EU Institutions? The EU institutions select candidates for permanent contracts through open competitions. These are tests and assessment exercises designed to measure your professional skills and a number of core competencies. In view of the very large number of applicants, this is the fairest and most transparent selection procedure. This means that spontaneous applications cannot be taken into account. Applicants who pass a competition are placed on a reserve list from which the institutions draw recruits as and when they need them. The aim of a competition, then, is not to fill a specific post, but to constitute a reserve pool for recruitment needs as they arise. The format of these competitions varies depending on the profile being sought. Each competition is announced by a competition notice, giving full details of the profile, the eligibility criteria and the selection procedure. Generally, it takes 5-9 months to complete the selection procedure, starting from the date of publication of the competition notice. How specific competencies are tested, will depend upon the profile you apply for. The admission stage is an initial eliminatory round that determines which applicants are admitted to the assessment phase. It is done either by computer-based testing and/or by sifting CVs (in specialist competitions). The best applicants are invited for the assessment. Types of tests and exercises: Types of tests and exercises depend on the profile you apply for. Here is an example of the competition to select graduates for generalist profiles in fields such as European public administration, law, economics, audit, etc. Admission A test centre in or outside Europe Verbal, numerical and abstract reasoning skills Your main language Applicants with the highest scores move on to the second stage, provided that their application also fits the profile. Applicants with the highest scores are added to a database (“the reserve list”) from which the EU Institutions recruit. Reserve list If you are one of the highest-scoring applicants in the assessment phase, you will be placed on the reserve list. This means you may be selected for a job interview at one of the EU institutions. Reserve lists for generalist competitions are valid for 1 year. For other profiles, they are valid for longer.